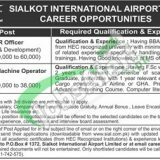 Apply for Sialkot International Airport Jobs 2019 Apply Online Latest Advertisement. Latest job vacancies are announced by Sialkot Airport for which applications are invited from the Pakistani Nationals who possess higher qualification, experience, and relevant skills against the following positions given below. Jobs in Sialkot Airport are such as (HR Officer (Training and Development), Scanning Machine Operator). Appointment of these positions will be held on a contract basis and the duration of the contract is extendable on satisfactory performance of an individual. Candidates willing to apply should compare themselves with the eligibilities mentioned in the following image and only suitable candidates should apply and according to the criteria candidates holding a qualification, MBA/BBA/FSc with relevant experience are eligible to apply. So, viewers if you possess relevant qualifications and experience then it is the best opportunity for you to have a job in such type of reputed Airport of Pakistan where Federal Government’s rules are applied and salaries shall be offered as per the policy of Government of Pakistan. Now in the following, you’ll have complete how to apply procedure given in the next heading. Interested candidates may download the application form from the website www.sial.com.pk. Duly filled application form along with updated CV, a copy of the educational certificate, experience certificate, CNIC, domicile and recent photographs should reach the following address given below. Only C.V without documents will not be entertained. Candidates should mention clearly the position applied for on the envelope and in the subject line of an email. No TA/DA will be admissible for the recruitment procedure. 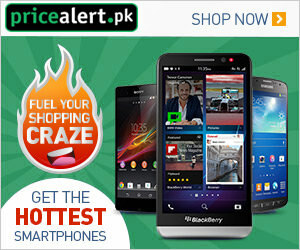 Address: P.O Box # 1372, Sialkot International Airport Limited.